Una De Gato -Supports the maintenance of overall womens health. * Helps to maintain joint support. * Supports a healthy menstrual cycle.*. Uncaria guianensis, Uncaria tormentosa. Parts used: bark. Cat's claw. UNA DE GATO - Is a Spanish named herb. Translated, the herb name, Una de Gato ( oon-yuh-day-got-toe ), means Claw-of-Cat or, as we would say in English, CAT'S CLAW. In the remote area of Iquitos, Peru, where Una de Gato is at home, it is very widely used and depended upon to handle a wide variety of problems, including those of a serious nature. Una de Gato is the bark of the jungle and highland dwelling vines of the two plant species, Unicaria quianensis and Unicaria tometosa. These are the only two species represented throughout South America. The curled projection, or "claw", that the vine puts out to help it climb into the trees, gives Una de Gato its common name, Cat's Claw. Because of the remoteness of the area where it is at home, in North America we did not know of its long and accepted uses until later in the 20th century. Thanks to the American researcher, Nicole Maxwell, and her over 30 years of dedicated field research and living with and observing the native use of these and other botanicals, we have first-hand information based on observation and experience from the jungle areas of Peru regarding the use of Unicaria quianensis and Unicaria tomentosa. Both are good. The preferred species she recommends as a first choice, however, is the quianensis. (For further information see, HUNTING FOR MEDICINAL PLANTS IN AMAZON by Nicole Maxwell, Citadel Press, New York, New York, 1990) Additionally, German and French sources, and users there, have shared their enthusiastic results, and simply can not be silenced in their wholehearted endorsement of the tomentosa species of Una de Gato. In more enlightened and tolerant areas of the world, such as Peru, where freedom of speech regarding herbs and Folk Medicine is an accepted and appreciated fact, sellers of herbs must put the traditional and accepted uses on the side of the herb package. Unlike North America, where you are not even allowed to claim that an herb is "high fiber" or "low fat" or "low sodium" without a scientist saying you can, and that after a very expensive and lengthy process of proof which may cost as much as 200 million dollars to make such a "sweeping claim". Here is what is listed in Peru as the Traditional and accepted South American Native Folk Medicinal uses of Una de Gato. UNA DE GATO: (Take to correct) ARTHRITIS, RHEUMATISM, , GASTRITIS, IRREGULARITIES OF THE FEMALE CYCLE. 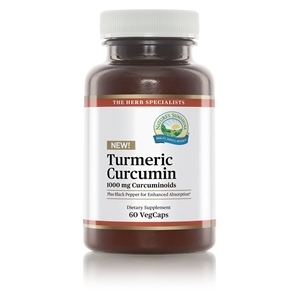 From all reports, this is one of the South American Indians's very best arthritis remedies. Although it is not scientifically accepted, people there use it and get rid of their arthritis, including the type we call rheumatoid arthritis, where the body is actually fighting itself. Una de Gato is also, especially, noted for its anti-viral properties, tumor dissolving properties, its effects on cellular regeneration and cardiovascular repair. As in all jungle areas, one of the things which must be guarded against is infections. 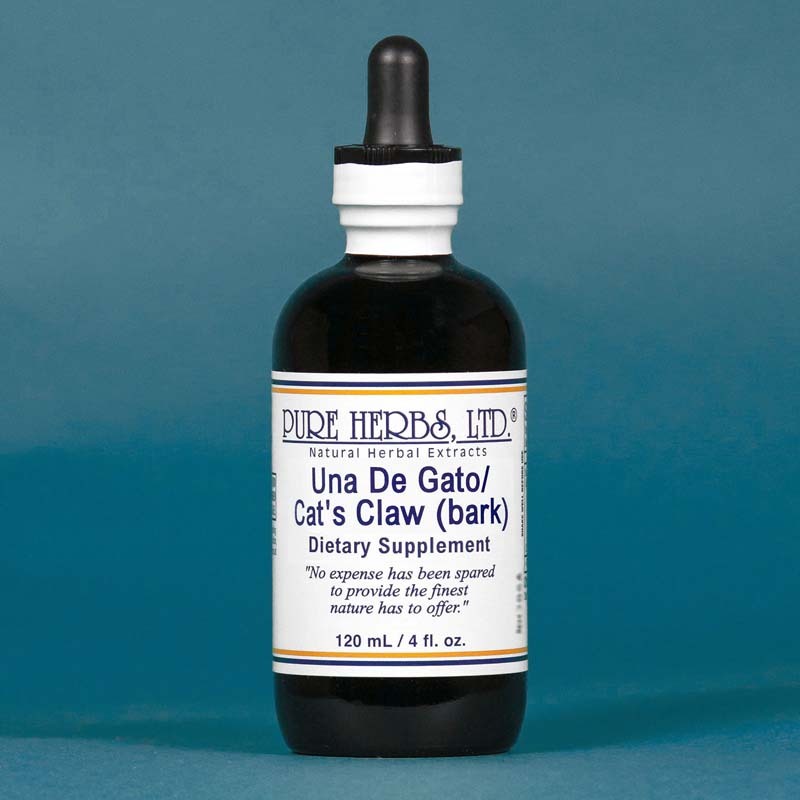 Una de Gato is a potent immune system builder. This is especially important in conditions described as rheumatoid arthritis and or osteoarthritis, where the body is attacking itself, commonly called auto-immune reactions. Una de Gato reestablishes the proper immune system orientation for cells that are "true friends" and those that are the actual foes. A strong immune system is essential to reversing the effects, and prevention, of any kind of dis-ease. Hence, a wide range of disorders are reported to be corrected by the use of Una de Gato in Peru and Europe. DOSE:40 drops, 3 times per day to maintain immunity. For dis-ease conditions listed above, 1 tsp. to 1 Tbl. 3 times per day.With the use of Una de Gato, as with any herb which destroys bad cells, do use a good bowel management program which produces 2, and preferably 3, easy and complete bowel movements per day. In this manner, the wastes and poisons the body is getting rid of, can be eliminated from the body and nausea is prevented. This allows the body to clean itself up and to get well. (SEE: C.C. E.-W, Cleansing-Corrective-Extract, Cascara Sagrada, Buckthorn.) Common sense and good sense, both, demand that you eliminate anything from the diet and the environment which is a poison. A good place to start, regarding what you eat, is any food with any kind of chemical additives such as: chemical dyes, preservatives, flavor magnifiers, stabilizers, pesticides, herbicides, and the like. Eliminate junk foods - and you do know what those are. Scientific evidence published by French researchers in the respected journal "Planta Medica", 9 December 1982, titled "Alcoloides de l'Unicaria quianensis", shows Una de Gato to contain the compounds: Rubiaceae, Tetracyclic and Pentacyclic Oxindole alkaloids. Biochemical analysis of the bioactive alkaloids show them to be comprised of 40% pteropodine, 50% speciophylline, 10% mitraphylline and various phytochemicals, all of which exhibit in-vitro (in laboratory apparatus) effects of absorbing interest. DSK. (pads between the vertebrae) 4 fl. oz. CA-W (Calcium) 4 fl. oz. A-W (Arthritis) 4 fl. oz. BDR-C (BONE-DENSITY REGULATOR) 4 fl. oz.